MULTI-BEAM: 2-wire scanner block Glass Fiber Optic. Range: depends on fiber; Input on power block. Output: depends on power block. Interconnecting Pins. MULTI-BEAM: 3/4 Wire High Speed Glass Fiber. Range: depends on fiber; Input on power block. Output: depends on power block. Interconnecting Pins. MULTI-BEAM: 3/4 Wire Very High Speed Glass Fiber. Range: depends on fiber; Input on power block. Output: depends on power block. Interconnecting Pins. MULTI-BEAM: 3/4 Wire Glass Fiber Optic – Red. Range: depends on fiber; Input on power block. Output: depends on power block. Interconnecting Pins. MULTI-BEAM: Visible Green 560 nm Scanner Block. Range: depends on fiber; Input on power block. Output: depends on power block. Interconnecting Pins. 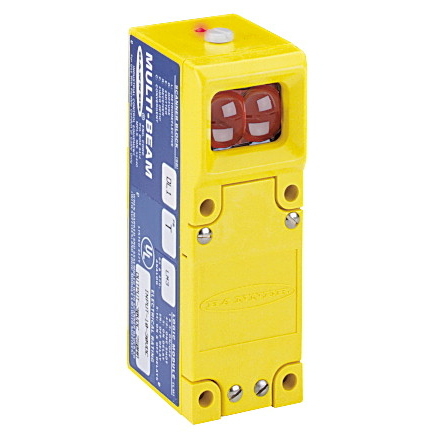 MULTI-BEAM: 3/4 Wire Scanner Block – Fiber Optic. Range: depends on fiber; Input on power block. Output: depends on power block. Interconnecting Pins. MULTI-BEAM: 3/4 Wire Scanner Block – Glass Fiber. Range: depends on fiber; Input on power block. Output: depends on power block. Interconnecting Pins.